This summer, millions of people lined up to get their hands on the new iPhone XS and iPhone XS Max, both released internationally on the same day. As always with a new iPhone release, there was tons of hype and expectation. So, how did they fare? Let’s dive in and have a look at everything each of these two iPhones offer and how they stack up against their competition. And, since most buyers are interested in the new iPhone’s photographic capabilities, this review will go in depth on each phone’s camera and features. The XS and XS Max are made of surgical-grade stainless steel, just like their most recent predecessors. The buttons and ports remain in the same places as before. But this time, the rear glass and screen are made of a stronger glass formulation material than before, according to Apple. They boast a smooth, elegant display in any of three colors you choose: gold, silver and space grey. The most obvious difference between the XS and the XS Max is the size of their displays. 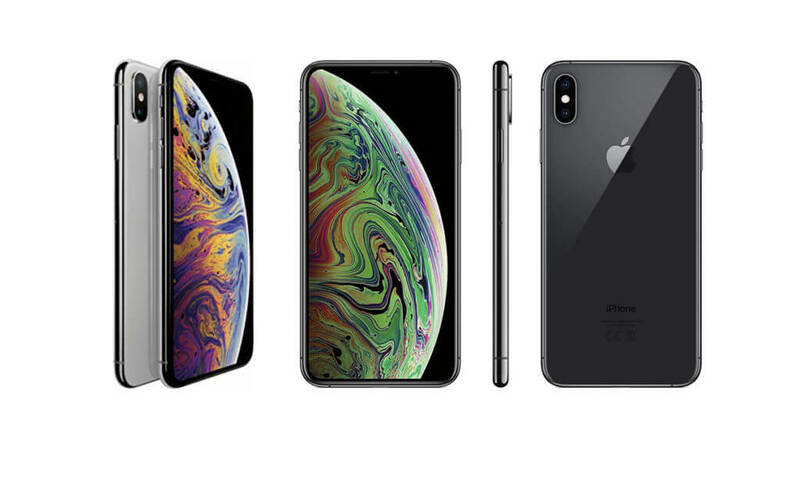 The XS Max boasts a massive 6.5-inch display – the largest available on any iPhone. Aside from the size, XS Max is practically identical to its smaller sibling. The battery in both phones is an improvement over what designers used in the previous models. The one-cell battery is uniquely L-shaped so it bends around the phone’s internals, creating less interference with other functions. As such, the battery itself provides an extra 30 minutes of life for the XS and 90 minutes for the XS Max beyond what the iPhone X could. However, the iPhone XS and XS Max’s battery life is considerably surpassed by that of its competitors, the Google Pixel 2, the Samsung Galaxy Note 9, and the Huawei P20 Pro. Wireless charging is available and Apple says it’s faster than last years’ models, but the iPhones are still seriously upstaged by Samsung in this regard. Wired charging, however, is on par with the competition. As expected, the new iPhones feature mobile imaging is at its finest. At first glance, the camera is very similar to its predecessor, the iPhone X, offering Dual 12MP cameras on the rear (an f/2.4 telephoto lens and an f/1.8 wide-angle lens) and a 7MP front-facing camera. Like the previous model, XS also captures 4K video at 24 frames per second, 30 fps, or 60 fps and includes image stabilization for less shaky recordings. But, beneath the surface, the XS comes with many improvements over its older sibling. For example, pixel size has been increased to boost sensitivity to light – meaning you’re going to get better photos in low light situations. The True Tone flash that impressed so many is better than ever here, with even more accurate color reproduction. XS’s front-facing True Depth camera got an upgrade, too, with a twice-as-fast processor and increased lens aperture of f/2.2. Along with the improved Bionic A12 chip, you can expect a much faster camera that gives you even better control when it comes to post-production. Features to note include the XS’s Smart HDR option which, compared to the iPhone X, gives photos a touch more color and saturation which are on par with images from the Samsung Galaxy 9 and Google Pixel 2. Most notable, however, is the new Depth Control option that lets you manually adjust the aperture with a slider after your shot is taken to increase the depth of field or add bokeh to a portrait. Apple claimed this feature was not previously available on any camera, but similar technology is seen with the Samsung Galaxy 9 and with Lytro cameras. The iPhone XS seems to be very capable when shooting in low light, but it does struggle a bit compared to its competition in very dark situations. Where it excels, though, is in its reproduction of color. Tones are richer and more balanced than the competitors’, especially in the dark areas. For the first time ever, Apple has given both its new phones the same photo capabilities instead of reserving the best camera for the larger phone. The standout for both models is the increased pixel size, which is now equal to one of it’s biggest competitors, the Google Pixel 2. The iPhone X was a design that re-energized the market for iPhones, and the XS and XS Max with their improvements over the original continue that trend. Current iPhone X users probably don’t have a compelling enough reason to upgrade, as the phones are aggressively priced at the top of the market. That said, XS and XS Max are a huge upgrade for iPhone fans who are still using older models, like the iPhone 7 and even the iPhone 8. Previous Post« Previous Luminar 2018: A Viable Alternative to Adobe Lightroom?